There is something incredibly relaxing about kicking back with a cold one in hand. If you want to enjoy some of the best lagers around, you should schedule a trip to Boston. Boston is home to some of the best microbreweries. Whether or not you consider yourself a beer connoisseur, there are plenty of reasons to check out the breweries below. Trillium Brewing Company offers two microbrewery locations. The Fort Point location in Boston has a variety of incredible on draft options and events. For example, a past event consisted of delicious wood-fired pizzas and refreshing lagers. Must Try: If you decide to give this microbrewery a try, make sure you sample their Pale Ale, which offers a juicy, fragrant flavor. Some of the best American Pale Ales they offer are the Itty Bitty Goose and the Stumpy Duck. The Samuel Adams Brewery is a hotspot in Boston with a long history that lures visitors and residents alike. The brewery offers tastings, tours, and a gift shop so that you do not go home empty handed. As a bonus, they offer tours for free. However, they do ask for a small donation. Must Try: Make sure you sample their available seasonal brews such as their Samuel Adams OctoberFest. Samuel Adams Summer Ale, Winter Lager, and 20 Pounds of Pumpkin are also pretty tasty. 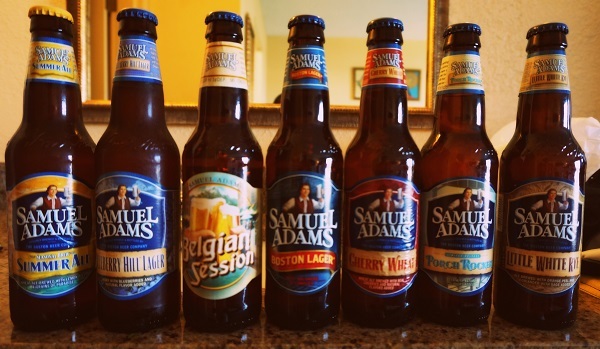 Samuel Adams Brewery also offers a lineup of Rebel IPA options that are sure to tickle your taste buds. For best results, pair your beer with an incredible lunch or dinner from their mouthwatering menu. The Beer Works microbrewery has two Boston locations. You can find one on Fenway and the other on Canal Street. Keep in mind that both places tend to fill up quickly, namely because of the satisfying lagers and tasty foods. Must Try: At the Fenway location, make sure you try either the Boston Red Ale, Contender IPA, or Chico Wit. If you head to Canal Street, grab their Bunker Hill Blueberry, Curley’s Irish Stout, or Perfect Pils. Pair your choice of drink with any of the menu options available at either location. For instance, you can chow down on some simple, yet tasty nachos or their favorite Bar Burger. The Brewer’s Fork is a highly recommended microbrewery located in Boston. You can choose from their selection of carefully curated beer or wine. A delicious menu features plenty of dine-in options to satisfy your hunger after a long day at work. Must Try: If you have never heard of Allagash White, grab one now from the Brewer’s Fork. Other recommendations include Jack’s Abby House Lager, and Hermit Thrush Supah Phunk #5. Each of the lagers you choose at this microbrewery will transport you to another world. The flavors are delicious and unforgettable. The Brewer’s Fork is one location that goes above and beyond to prove their knowledge of beer is superb. If you are willing to travel just outside of Boston to Somerville, then you should check out Winter Brewing Hill. Residents and tourists alike love this microbrewery, and with good reason. Winter Brewing Hill offers a small selection of incredible lagers and a simple, yet delicious menu. Must Try: Despite their small selection, you should most certainly try their House Ale. It is also recommended that you order their Radical Sabbatical (Session IPA) or their Pub-Goer ESB. Pair your choice of beer with a plate of satisfying food for an out-of-this-world experience. The unique menu ensures that you have a one-of-a-kind experience. For instance, you can choose their Roasted Portobello Sandwich or the Roasted Chickpea Gyro. Either way, you are sure to love what this microbrewery has to offer.